We are enthusiastic about the beautiful lessons that Judaism has to offer, and we hope to transmit that excitement to the children through the excellent Hebrew School program at Chabad. The Chabad Hebrew School offers an outstanding program that will give your child a solid foundation in the fundamentals of Judaism, and will instill in your child the faith, beauty and values of our heritage. All lessons will be taught in a manner that will give the children a great appreciation of our rich Jewish heritage. Role-playing, arts & crafts, and songs will be incorporated to help make the lessons enjoyable. Children will learn to recognize and identify the names of all Hebrew letters. They will begin reading simple words after learning how to blend the sounds. Additionally, they will begin to learn how to write the letters in the Hebrew script. Hebrew vocabulary is a basic part of the program - Children will learn Hebrew words related to current themes. Older children who are already more advanced in their reading ability, will continue to practice and increase their fluency in reading, and will also develop comprehension in various traditional Jewish texts, such as the book of the Chumash (Bible) and Neviim (Prophets). Children will be taught the meaning of Mitzvot - Torah commandments - and will be encouraged to enjoy the experience of doing mitzvot. Some mitzvot emphasized are Tzedakah, loving one another, kindness to living creatures, hospitality, honoring parents, mezuzah, and brachot (blessings). The teachers will help each child develop a consciousness of proper Torah behavior towards others - Midot Tovot - which is the acquisition of desirable character traits. Children will learn to appreciate the special quality and holiness of Shabbat and Holidays. They will become famili ar with the historical background, customs, and observances of each festival throughout the year. Children will start to learn simple, basic prayers and blessings. As they progress they will learn more prayers and what is appropriate to say at which times. Aleph –Bet Scrapbook-recognition of names and sounds of the Aleph-Bet plus simple Hebrew words. In addition, each class studies a Jewish life Topic each year. This year the whole school will be focusing on Jewish life in the home. 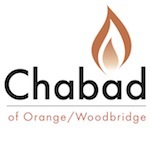 Chabad also offers, monthly Friday night dinners, Monthly Junior congregation on Shabbat day and Monthly early Sunday morning minyan program( for older boys class) in order to maximize the Hebrew School experience.